One touch. That’s all it takes to watch a DVD, access music or start your movie. With simple, stylish touch-screen control of up to 15 devices, this may be the only remote you ever need. Compatible with over 225,000 entertainment device the Logitech Harmony One Universal Remote Control will never be obsolete. 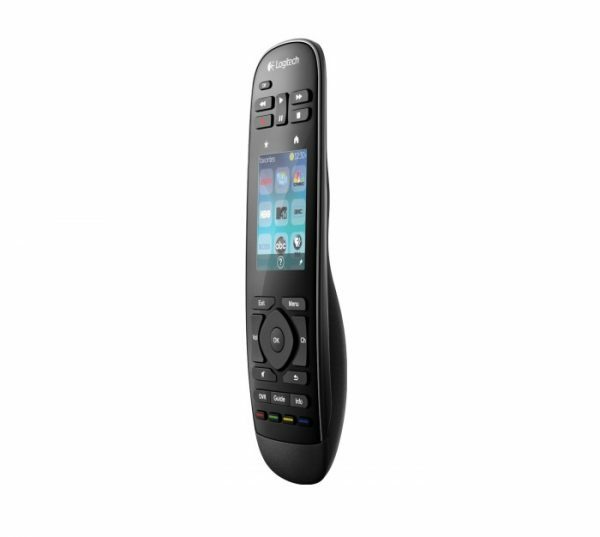 The Logitech Harmony One Universal Remote Control with Color Touchscreen works with what you own today and will work with what you purchase in the future. From the smallest to the biggest, this remote will even work with store brand units. The Logitech Harmony One Universal Remote has the capability to be updated with the newest machines, simply update the remote right from your computer. There is no need to enter an endless list of codes to program your remote, just hook it up to your PC and let Logitech do the work for you! With the One-touch activity controls: Press “Watch TV”, “Watch a DVD” or “Listen to Music” to start your entertainment, everyone in the family will be able to have control at their fingertips. Fully customizable touch screen, use the icons to create favorite channels and jump directly to them with one touch. Control up to 15 devices seamlessly. The Logitech Harmony One Universal Remote Control with Color Touchscreen works with electronics new and old, from HDTV’s to old DVD Players and Game Consoles, you will be able to control ever machine, easily. Batteries? No, you’ll never need to buy batteries for this remote! It is rechargeable and has a battery indicator light to let you know when it’s time to put it on the charger. Ergonomically designed, this remote fits comfortably in your hand, includes back-lit buttons for easy access with shape, size and texture differentials by function make this remote one of the easiest and user friendly remotes on the market today. So, whether this remote will be used in the ‘Man Cave’ or the family room, everyone will enjoy the great features built in to the Logitech Harmony One Universal Remote Control with Color Touchscreen.